North American Timber Forecast - 5-Year - Fastmarkets RISI - Objective Insight. Better Decisions. The forecast provides a comprehensive assessment and long-term outlook for North American timber markets. It covers key concepts like supply, demand, imports/exports and prices. Executive summary – a comprehensive summary of the North American timber market including overviews of the state of both the US and Canadian economies, the housing markets, timber consuming industries, regional timber supplies and regional timber prices. 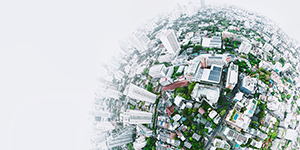 Economic Outlook – a detailed analysis and forecast of demand and supply side indicators as well as risks for the economies of the United States, Canada, Europe, Asia and Latin America. 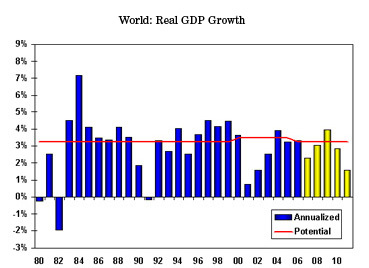 Demand side indicators include GDP, consumption, investment, government spending, and international trade. Supply side indicators include demographics, the labor force, productivity, inflation, oil prices, interest rates and the state of the dollar. Comprehensive written analysis is provided alongside supporting data tables. Housing Markets – a thorough examination and forecast of US and Canadian housing markets, incorporating data on population size and growth, demand (replacement, second home, vacancy, mobile home, and shelter), affordability, production (starts and output), repair and remodeling, industrial and furniture production, and non-residential construction. Forest Products Demand and Regional Production – a comprehensive analysis and forecast of forest products demand and production. Analysis and data on demand, trade and production is provided for the following forest products markets: North American solid wood products, North American structural panels and US paper, paperboard and pulp. 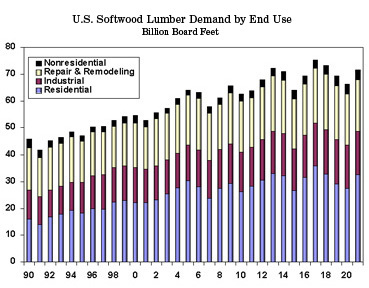 Timber Demand – a regional examination and forecast of North American timber demand, including analysis on sawtimber and roundwood demand for pulp and OSB production. Timber Supply – a regional analysis and forecast of the North American timber supply, including information on operable timber inventories, private growing stocks, and private sawtimber and public timber supplies. Timber Prices – a regional review and forecast of North American timber prices, including delivered and stumpage prices for softwood sawtimber, pulpwood, and chips. Fastmarkets RISI forecasts incorporate developments like shifts in technology, government regulations, economic growth and consumer preferences. They are based on dynamically linked computer models more than 25 years in the making, and reflect the influences of all other forest products sectors.